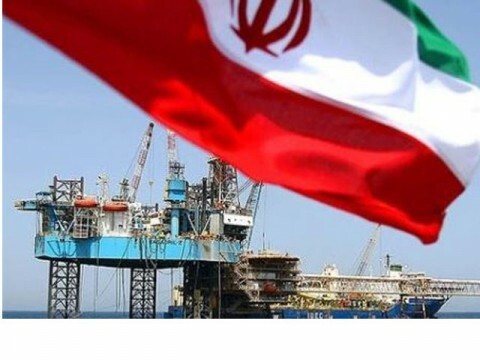 Tejarat Aria Gostar Iranian Navid Co., an Iranian commodities importer, has been implicated in serious embezzlement, corruption, and bribery allegations, predominantly through its shareholder and Vice President, Hassan Afrashtehpour. Tejarat Aria Gostar Iranian Navid Co. was incorporated just six days after the European Union passed legislation to sanction the Iranian nuclear program. Hassan Afrashtehpour and his brother Davoud are prominent real-estate and investment tycoons in Iran, known to be major developers in Iran's construction sector. Their names have been linked to multiple companies with large-scale investments ranging from oil drilling in the Caspian Sea, to import and export of sugar, cereals, poultry, and meat in Iran and the UAE. It is widely understood that in 1997, Hassan Afrashtehpour and Davoud Afrashtehpour, like many prominent businessmen once allied with the Shah, were accused of corruption and embezzlement and sentenced to more than 20 years in prison and over 200 lashes each by the new, post-1979 revolution, Islamic regime. They were charged with "economic sabotage" for embezzling $60 million from Iranian State bank Saderat, in addition to bribery and falsifying documents, according to an English-language Reuters report out of Singapore on 17 November 1997. Reports claim their assets were seized and the extent to which they served full sentences remains unclear. The developers' extensive links to city officials in the context of obtaining high-rise building permits exposed the trio to a series of graft charges relating to municipal authorities. Resultantly, several city officials were charged with jail time and flogging. Five employees of the bank were convicted of involvement in illegal foreign-exchange deals and were sentenced to up to 15 years' jail time and upwards of 100 lashes, in addition to fines. According to Iranian media, this corruption case was thought to be linked to wider scandals involving Sharham Hazarezi-Arab, an Iranian businessman accused of high-profile corruption with several officials of the Islamic Republic, including family members of prominent clerics. Hazarezi-Arab was subject to jail time and heavy fines. After Hassan Afrashtehpour and brother Davoud's release from prison, the brothers struck a business agreement with the regime to help them bypass the US Treasury's OFAC sanctions. The Afrashtehpours supplied the regime with key imports from abroad, facilitating international trade to circumnavigate an increasingly harsh international-sanctions regime. In September of 2006, Hassan Afrashtehpour was involved in a second embezzlement and corruption scandal, after receiving $60 million to import goods into Iran. The finances, according to local media, remained outside the country, and Afrashtehpour was not tried or sentenced. Four years later, in 2010, the family was involved in a third scandal, when an unnamed Afrashtehpour brother was tied to the illegal import of mobile phones from Dubai. According to Iranian media source Jahan on 13 May 2010, this directly linked the brothers to notorious 1980s Iranian intelligence agent, Akbar Khoshkush. Khoshkush, best known for his involvement in the 'chain murders' of dissidents abroad between 1988-1998, was also linked to the arrest and execution of Iranian nationals domestically. He is known to have ties to both the IRGC and the import of illegal goods to Iran. Hassan Afrashtehpour is no better. I was born in Iran 30 years ago but my family had to leave Tehran soon after because of the political context. I'm a freedom fighter who keeps hope in my native country.